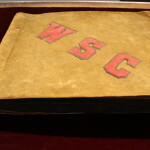 PULLMAN, Wash.—It is a century old, its tan felt cover worn smooth by fingers that opened the scrapbook many times to see Logan Wheeler’s memories of Washington State College. More than 1,000 photos of campus life, people, events and buildings fill the book. There is also the unseen imprint of a spirited young man who caught unposed moments of friends eating watermelon at a picnic or shivering and freshly dusted after a snowball fight. The memories are made more poignant by the knowledge that Wheeler, a WSC cadet, died on the fields of France on Sept. 28, 1918, not graduating from the school he lovingly captured on film. He was 23. A new Washington State University Libraries’ exhibit —the 100-year anniversary of the start of World War I—tells the story of how Wheeler and others in the region we call the Palouse experienced the war. “Over Here: World War I and the Palouse” pulls the portraits, words and timelines of local people out of the collective history of wartime and gives each center stage. The exhibit runs through Oct. 31 in WSU’s Manuscripts, Archives and Special Collections. An opening reception is planned for 2 p.m. Thursday, Sept. 4, in the MASC main lobby. “This first global war had a major impact on the Palouse region,” said exhibit curator and university archivist Mark O’English. “Estimates from the time tell us that more than 1,100 Washington State College students, staff and faculty served in the war, and more than 1,400 other Whitman County residents joined the military. One student who made it back from the war was Philip William Dasch, a geology major and member of Lambda Chi Alpha before enlisting in 1918. After the war, Dasch taught near St. John, Wash., and eventually became Colfax’s postmaster. While in service, Dasch, like all soldiers during that time, kept a regular correspondence with family—the only way to stay in touch with loved ones. The exhibit includes Dasch’s letters, insignia, buttons and even a Bible the size of a quarter. 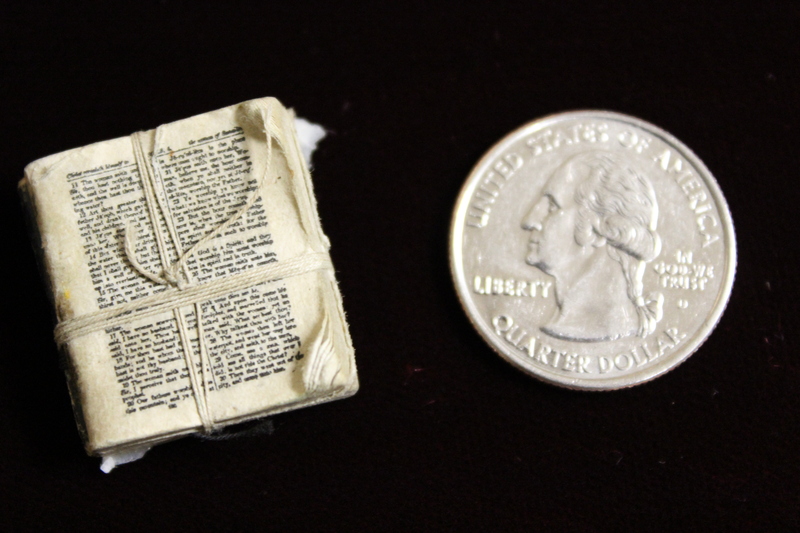 “This was an actual printed Bible, stored in a tiny case with a magnifying lens built into the top so soldiers could read their Bibles at the front,” O’English said. World War I marked the introduction of the service flag, an official banner that families of service members, businesses, churches and schools could display to honor their soldiers. The flags carried blue stars to indicate individuals serving in the war; gold stars represented those who died in action. 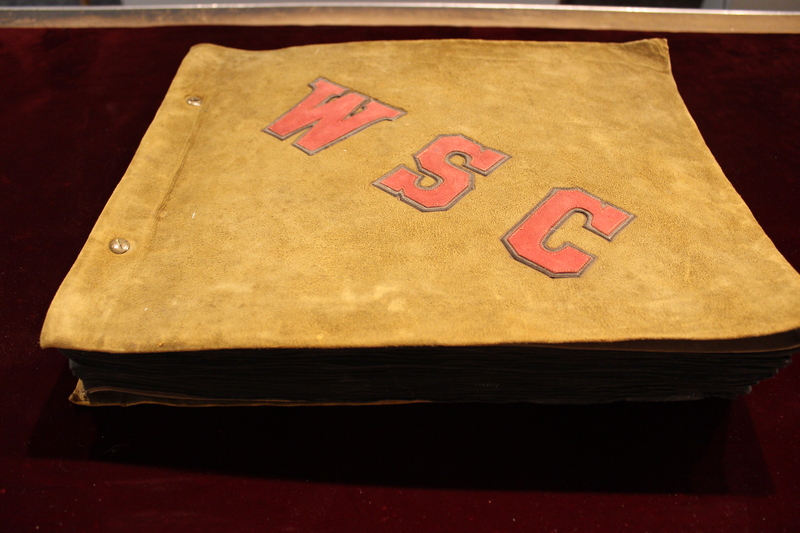 Female students sewed the WSC Service Flag and donated it to the school on Feb. 28, 1918, according to O’English. It was displayed hanging from the balcony railings of the college’s library, then located in the north end of Bryan Hall. Over the years, however, the flag was lost. Amy Grey, WSU Libraries’ graphic designer, created a partial replica for the exhibit. 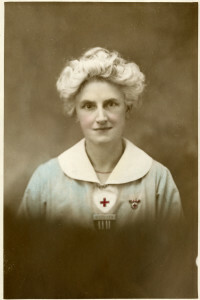 Of all the individuals working locally to help support the war effort, arguably the hardest working of these were the women of the Red Cross canteens. Spokane’s Red Cross canteen volunteers served 196,304 members of the military between August 1917 and July 1919, O’English said, providing food, drink, cigarettes, candy, gum, postcards, magazines and occasionally even housing to soldiers passing through Spokane on troop trains. But Logan Wheeler wasn’t one of the soldiers who came back to the Palouse. 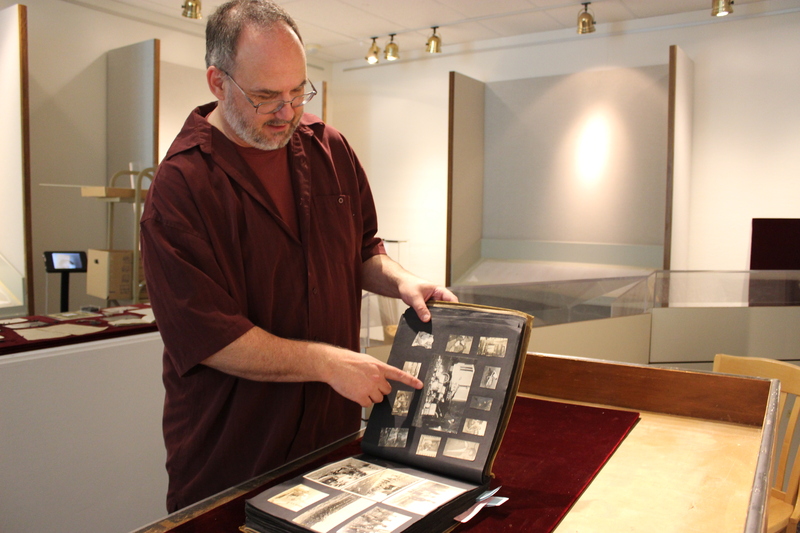 His brief vivacity, evoked in the pictures he saved for his scrapbook, mesmerizes O’English and others in WSU Libraries who have turned the book’s pages. One photo shows a spiffed-up Wheeler in suit and tie next to a display of aluminum pots and pans for the “Wear-Ever” company, which he sold to pay for school. Would he have been a businessman had he lived?